Which Flake Ice Machine Is Easy To Use? Which Flake Ice Machine is easy to use? There are many manufacturers of ice machines, and the average old manufacturers are basically the same in technology. There is not much difference, but the strength and qualification of different ice machine manufacturers are different. Which ice machine is easy to use, how to choose? The Water Cooling Flake Ice Machine needs to install a waterway and a water supply system. The initial cost is higher, and the cooling effect is better than the air-cooling effect. 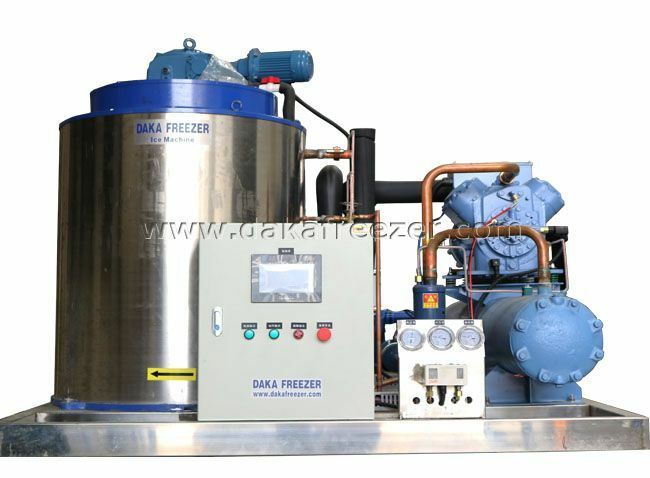 What Type Of Refrigerant Is To Be Added To Air Cooling Flake Ice Machine?